Paperback, 6.75 x 9.5 in. / 296 pgs / 417 color. Edited by Giorgio Maffei, Bruno Tonini. Introduction by Barbara Radice. 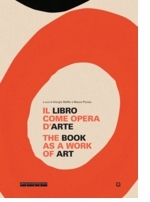 Text by Andrea Branzi, Michele De Lucchi, Nathalie Du Pasquier, Elio Fiorucci, Christoph Radl, Franco Raggi, Lea Vergine. 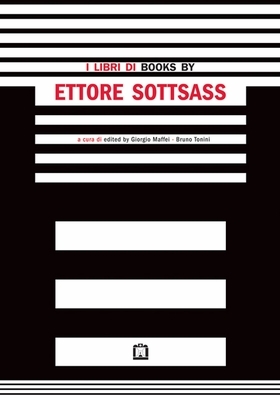 Throughout his illustrious career in product design and architecture, Ettore Sottsass (1917-2007) maintained a close relationship with printed matter, designing, authoring, illustrating and editing a great many avant-garde literary and design/architectural books and periodicals from 1947 right up until the year before his death. Books by Ettore Sottsass organizes this vast body of work into eight phases: the 1962 Beat magazine Room East 128.Chronicle; books by poets Gregory Corso, Michael McClure, Philip Whalen and Sottsass himself, published under the Editions East 128 imprint; the psychedelic magazine Pianeta Fresco, which printed Beats alongside emerging comic artists; work for architecture and design magazines; Sottsass' own theoretical writings; catalogues produced for the Memphis Group; the magazine Terrazzo (1988-1995), which synthesized Sottsass' love of design, literature and architecture; and publications for his own Studio Sottsass Associati. FORMAT: Pbk, 6.75 x 9.5 in. / 296 pgs / 417 color.